Home UncategorizedFeatured	Is Brock Lesnar eyeing a return to UFC? Current WWE Universal Champion and retired UFC Fighter Brock Lesnar is rumored to be eyeing a return to the UFC. According to PWInsider.com, there are rumblings that Brock Lesnar is thinking about re-entering USADA drug testing pool. When a fighter re-enters USADA drug testing pools, it usually leads to them gearing up for another fight. Lesnar’s WWE Contract is rumored to be up for renewal next year and could be wanting the appearance of a UFC deal to be able to negotiate with the WWE. 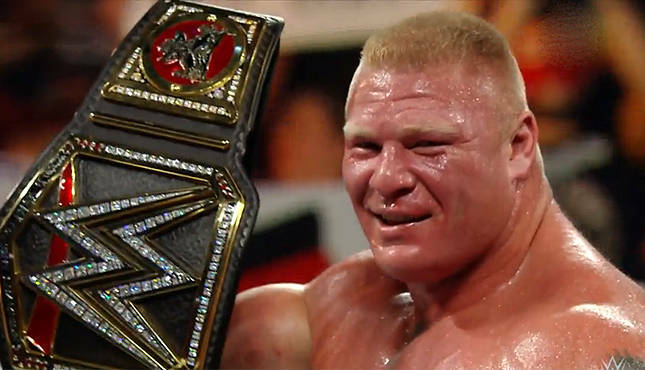 Lesnar has wrestled once since April at WrestleMania. Former TNA Wrestling Champion to exit Impact Wrestling?